Ms. Apy is a principal of Kane Ballmer and Berkman, which she joined in 1999. Ms. Apy uses her extensive experience in real estate, planning, land use, environmental, prevailing wage, affordable housing, bond financing (as issuer’s counsel) and general municipal and public agency law to advise and assist the firm’s clients. Ms. Apy’s main focus is advising the firm’s clients in all aspects of real estate (including planning, land use and economic development), municipal, redevelopment wind down (including advising successor agencies and oversight boards) and affordable housing law. As a transactional attorney, Ms. Apy has negotiated and documented numerous complex, multi-million dollar redevelopment and sales transactions relating to both vacant and developed land helping cities statewide to enhance their communities. In addition, Ms. Apy has also assisted cities with negotiating and drafting statutory development agreements and affordable housing agreements. Ms. Apy also counsels the firm’s clients regarding implementing State prevailing wage laws. 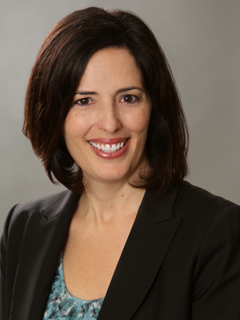 Before joining Kane, Ballmer & Berkman, Ms. Apy worked as an associate in the Public Law Department of Best Best & Krieger LLP where she represented a wide variety of public agency clients (such as cities, redevelopment agencies, and school districts) in municipal, redevelopment and real estate matters. Prior to Best Best & Krieger LLP, Ms. Apy worked as an attorney for the City of San Jose Redevelopment Agency, General Counsel’s Office, where she concentrated on negotiating and drafting redevelopment agreements and implementing statutory provisions of the California Community Redevelopment Law. Ms. Apy is a member of the Los Angeles County Bar Association (Local Government and Real Property Sections) and California State Bar Association.